My mom visited us this weekend. Look what she brought me! It's a shelf my grandpa made for storing spools of thread! I look at the thread organizers at JoAnn every time I go, but I always hate to spend that much just for organization. Now I just need to hang this bad boy up and put all my thread up. It'll add some nice color to my "sewing room" a.k.a. my bedroom. Yay! P.S. I haven't forgotten the indoor hopscotch...it is literally in my sewing machine halfway sewn. What, you don't sew half a seam at a time and then get interrupted? Wipes boxes are very useful! 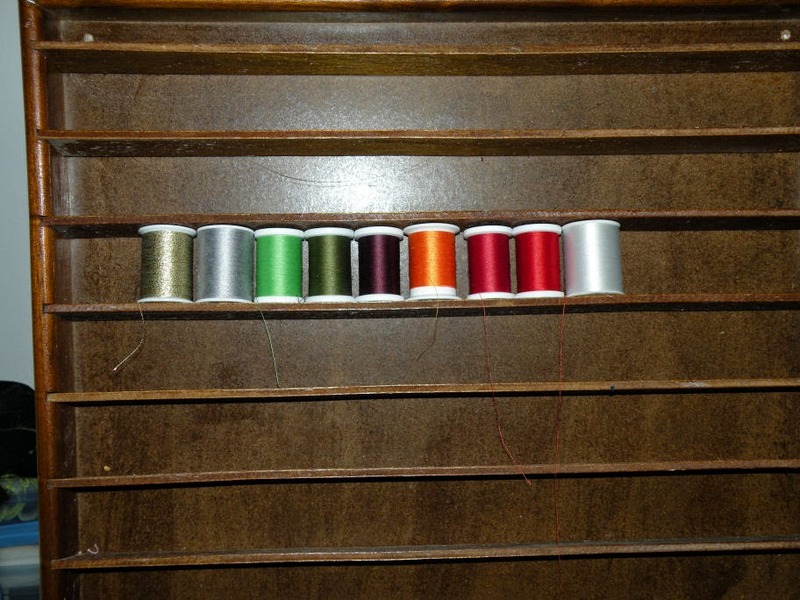 I don't have a ton of thread, but it'll save time to have it all in one convenient place. Then I can use my limited minutes for actual sewing.